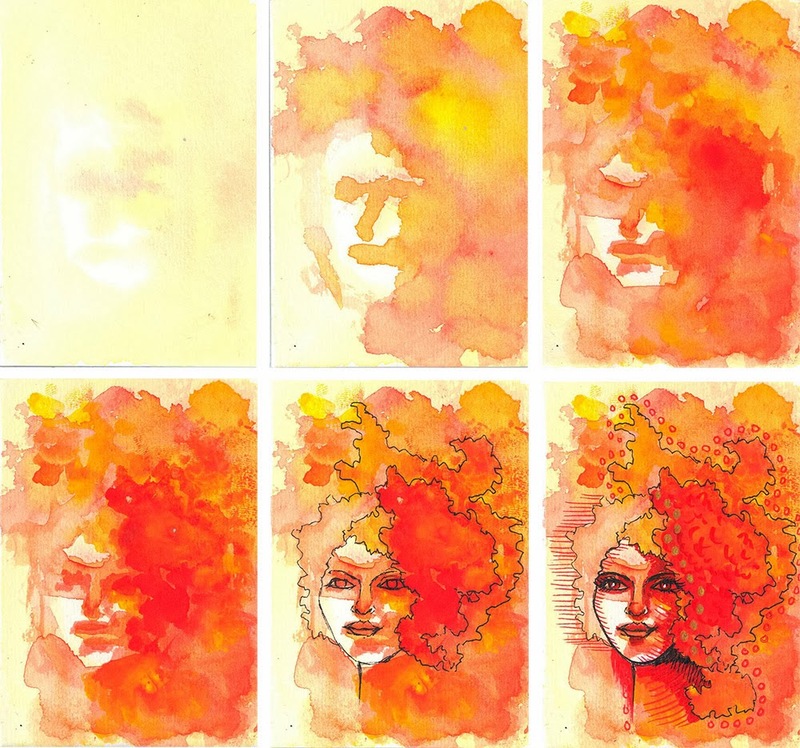 These fun little ATC watercolors shouldn’t take more than 10 to 15 minutes each. They’re quick and easy to create, even for fairly new painters. The trick is to not worry about getting things perfect. You need to paint intuitively, which means you should be more interested in plopping down some shapes and shadows to suggest facial features rather than painting in actual features. 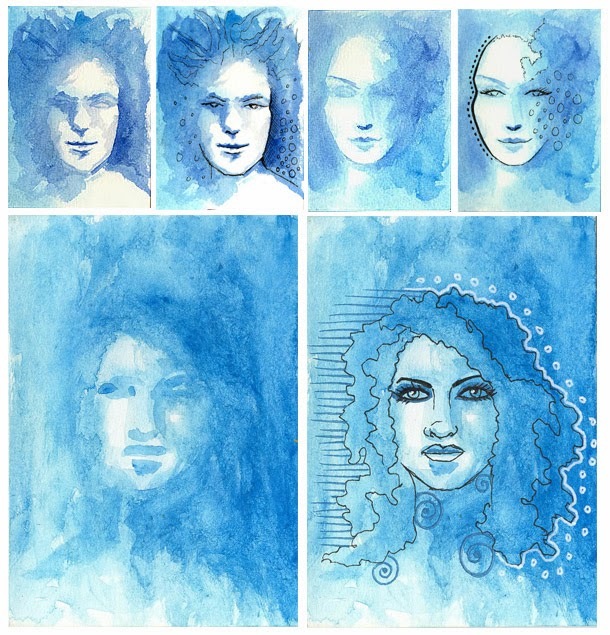 Start with a wet watercolor board or paper that you have and plop on your paints to form a very basic facial shadow. This should take about 20 seconds. Let dry and continue with another shadow/shape layer, slowing forming into a face. Each layer should take no more than a minute. You’re painting intuitively here, not realistically! That's the key point. 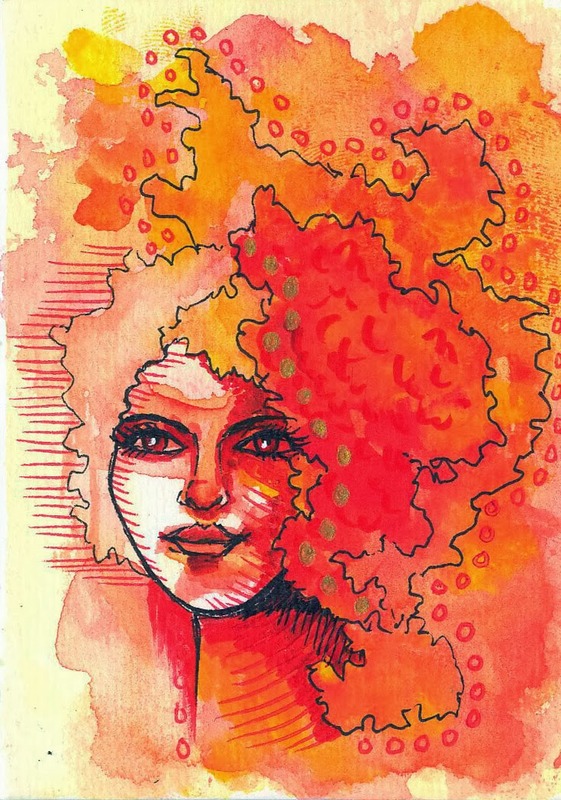 Once you have a shape you’re happy with, take your ink pen and outline some features. Add funky lines and bubbles but don’t spend a lot of time making things perfect.These little ATCs are 10-minute bits of fun!